Back in November Facebook’s Hussein Mehanna revealed a fresh incarnation of the social media giant’s Big Blue App. 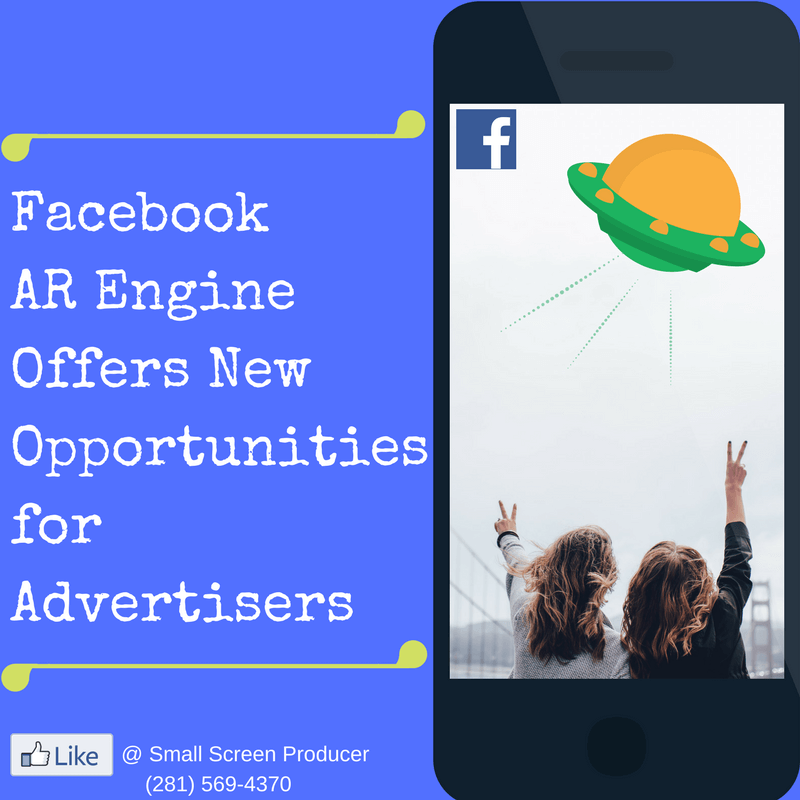 While that seemed like a small improvement at the time, it was revealed at Facebook’s F8 developer conference last Tuesday that it was actually laying the groundwork for a platform CEO Mark Zuckerberg calls Facebook AR (augmented reality). Facebook will soon allow third party companies and other developers create digital effects which users can then layer atop of what you will see through your camera. The social network plans to initially apply these effects to videos, live videos and still images. But the company is currently hard at work developing ways for you to “pin” digital objects to specific locations out in the real world. One example given at the conference was that a user could “attach” a digital note to his or her refrigerator. If your spouse views the refrigerator through is or her camera, they can also see the note as if it was really there. The digital marketing team here at Small Screen Producer (SSP) helps brands explore new advertising outlets and together we devise cohesive and effective online strategies so that you will thrive and grow in this ever changing landscape. To discover your online marketing potential, we invite you to all Small Screen Producer today at (281) 569-4370.